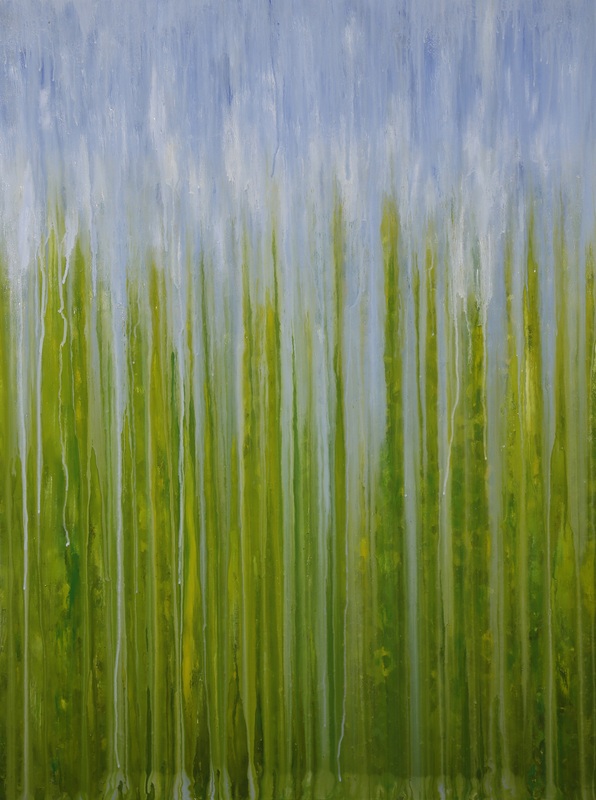 [SOLD] ©Rachel Brask, Rainy Moment 04 (Summer Greens). Oil on canvas, 40″x30″. After the light pastel colors of late spring blossoms, nature bursts into glorious bright and deep greens and yellow-greens for the summer, the colors of which inspired this painting. This painting was painted at the Hunts Mills Festival in Rumford, RI.